We were sad to hear of the passing of Rita Mulcahy, Founder of RMC Project Management and the best-selling project management author. Rita passed away on Saturday, May 15th 2010, from complications related to a five-year battle with cancer. She was 50; Rita leaves behind husband Tim Mulcahy, current Vice-President and Chief Legal Counsel for RMC, and two children, ages 7 and 5. Rita was diagnosed with cancer in September of 2005, and over the last five years worked to expand RMC’s training and product distribution to nearly 50 regions worldwide based on her innovative methodologies and learning techniques. Rita’s books were a key source of information when we passed our PMP exam many years ago. Her focus on effective questions to encourage adult learning was one of the key inspirations for the development of Mosaic’s Mentored Email™ CAPM and PMP courses. The Project Management industry has lost a passionate leader, advocate and friend. Cost Engineering is an Oxymoron! Cost performance is a symptom of other management functions. It is impossible to ‘engineer costs’. The only way to change cost outcomes is to change the other processes that incur costs. Changing the procurement / purchasing / supply chain processes that acquire the required inputs to the process being managed. Changing the way the work that transforms inputs to outputs is undertaken through enhanced management and leadership including skilling, motivating and directing the people involved in the work and ensuring they have the correct resources and equipment to undertake the work. Focusing on the quality of the outputs produces to ensure the ‘right scope’ has been delivered at the ‘correct quality’. Too low and there are cost consequences in rectification, too high and you may have spent money unnecessarily. These three elements exist in a risk frame. Whilst risk management will not ‘control’ the future, it will allow opportunities to be identified and grasped and threats mitigated and avoided by changing the way the work is undertaken and as a consequence optimise cost outcomes. The two key facets that permeate all of the above are stakeholder management and time management. Both of the above need regular reviews and adjustment within the overall frame of the emerging risk profile. Where ‘cost engineering’ adds value is via techniques such as Earned Value (EV). Applying EV effectively allows the symptoms of a deviation from the expected performance to be highlighted through Cost Variances and other reports. As with medicine and diseases, it is capability to recognise and correctly interpret symptoms that allows diagnosis that leads to the effective treatment of the under-laying problem. In project and business management space, this should translate to the requirement for managers not only to report a cost variance, but also to identify the cause of the variance and to recommend and/or implement corrective actions. Whilst it is impossible to directly manage or control costs; timely and accurate information on cost performance can be a valuable diagnostic tool to remedy the real issues. What’s needed is for senor managers to stop focusing on ‘cost’ and start asking deeper questions about performance and risk. I know many readers of this blog will say this already happens in their organisations, but I also know that far too many other managers focus on the symptom of cost performance rather than the under-laying problem to the detriment of their businesses. One of the interesting similarities between stakeholder management and risk management is the challenge of knowing what we know and more importantly understanding what we don’t or can’t know. An enduring part of Donald H. Rumsfeld’s legacy will be his somewhat garbled comment at a DoD news briefing in 2002: “as we know, there are known knowns; there are things we know we know. We also know there are known unknowns; that is to say we know there are some things we do not know. But there are also unknown unknowns – the ones we don’t know we don’t know.” Despite the wide spread ridicule these comments have attracted, Rumsfeld was right! The challenge in both risk and stakeholder management is to identify the things we don’t know. This is made more important because what we don’t know about key stakeholders may constitute a significant risk to the project or business. Plotting what we know in terms of our knowledge of the person’s wants expectations and attitudes in one dimension and how aware we are of that knowledge in another offers four possibilities. Management Zone: When we are aware of our knowledge proactive management is possible. We know we know and can take appropriate actions. This is where tools such as the Stakeholder Circle® are at their most useful. Risk Zone: When we are aware that we don’t know something, we can assess the implications and invest effort as needed. This is the zone traditional risk management works best in and we can use risk management techniques to asses the probable impact of our lack of knowledge and take appropriate actions to mitigate any undesirable consequences. Research Zone: We don’t know we have access to knowledge that we could use ‘if we ask the right questions’. This zone is created by amnesia, inexperience and false assumptions (eg, assuming you cannot ask someone a question). Research and experience minimise this quadrant. Facilitated processes such as brainstorming, affinity diagrams and focus groups can help to unlock the knowledge that exists and allow it to be used effectively. Reactive Zone: We don’t know we need to know. Particularly with people, there can be many issues problems and opportunities that you are simply unaware of. This area cannot be managed, you have no knowledge you need to be managing something. When issues and opportunities arise you need to be ready to react quickly and there needs to be processes in place to regularly scan the overall stakeholder environment to identify emerging opportunities and issues as early as possible. Effective stakeholder management is focused on moving all of the key and important stakeholders into the Management Zone. However, you can never be 100% certain you know everything about everyone that matters and need to regularly review the other three quadrants to identify opportunities and minimise issues. Several thousand years before Rumsfeld, Confucius said: To know that we know what we know and that we do not know what we do not know – that is true knowledge. Given the continually evolving nature of the stakeholder community surrounding any endeavour, achieving true knowledge is always going to be a major challenge. The precautionary principle states that protective action should be taken in any situation where there is a threat of severe or irreversible harm. Furthermore, if there is no positive proof that harm would not result decisions should be taken to protect people from the worst-case scenario until there is positive proof that harm would not result. 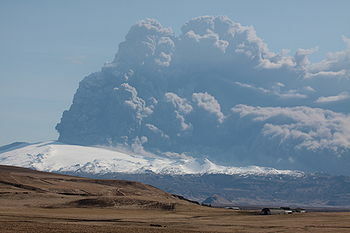 The latest scenario where this principle was applied was the eruption of the Eyjafjallajökul volcano in Iceland on the 20th March, which was the first activity since the eruptions of 1821-23, followed by the major eruption on the 14 April. There were also fears that Eyjafjallajökul could trigger a similar eruption in the nearby Mount Katla which is much larger. Both eruptions sent clouds of volcanic ash into the atmosphere which at high concentrations definitely poses a hazard to aircraft. There have been previous incidents of aircraft being affected by volcanic ash, including probably the most dramatic incident when a British Airways flight from London to Auckland in 1982, lost all four engines after flying through the ash cloud from Mount Galunggung, a small volcano which had erupted on the island of Java. Fortunately the crew were able to restart the engines and land safely at Jakarta (but the plane was close to a write off). What’s not known is when the ash density is a threat and when it is not – aircraft happily fly through ice particles, birds and other airborne debris. Based on an interpretation of the precautionary principle, European airspace was closed for eight days stranding about five million passengers across the globe and costing billions of dollars. Was this justified? Dr. David Hillson, the ‘Risk Doctor’ thinks the decisions were appropriate despite being stranded in the USA for most of the 8 days; see: http://www.risk-doctor.com/publications-briefings.asp. Assuming on day 1 applying the ‘precautionary principle’ was correct, why did it take authorities 8 days to decide the atmosphere was now ‘safe enough? Clouds band at different levels in the atmosphere (including ash clouds) why not change flying levels? What difference in pollution density occurred between day 8 and 9? What tests were carried out on day 2, 3….???? We have satellites, observation balloons and a host of military and civilian aircraft that don’t carry commercial passengers. How come all of Europe suddenly became ‘safe’ virtually overnight?? Why is a low level of risk from ash different to many other low level risks that occasionally cause air crashes? The likely cost in lives caused by Americans choosing to drive rather than fly after 9/11 has been estimated at over 5000. The number of accidents and serious injuries dwarf the totals actually killed and injured in New York. If the prospect of any fatal accident is unacceptable to authorities why not ban private cars? They kill massive numbers of people each year and applying the precautionary principle would demand this dangerous activity be stopped. I believe in many situations public authorities hide behind the precautionary principle to avoid making decisions that may attract liability. Every decision and action has a degree of risk; the difference between allowing people to drive cars and banning flights over a vast area of Europe is very few effective legal challenges have been made against authorities for allowing people to drive. However, once a ban had been imposed on flying, the authorities would be potentially liable for a claim if they lifted it and any incident occurred. My feeling is the delay in re-opening airspace was not about passenger safety rather the responsible authorities attempting to avoid any possibility of liability regardless of the cost and damage caused by not making a balanced decision. On a different aspect of the same issue, the lack of contingency planning and workarounds was appalling. Europe has a high density road and rail network why weren’t flights diverted on a priority basis to ‘safe’ airports and passengers, mail and freight moved on by land or sea? Everyone seemed to take the view if they could not operate business as usual they would simply stop operating! Certainly when confronted with an unusual and potentially dangerous situation, applying the precautionary principle is a valid first step. However, it is then incumbent on the authorities that take this decision to urgently assess the problem, determine options and start allowing alternative workaround to happen to mitigate the damage caused by their imposition of the precautionary principle. The European authorities seem to have failed miserably in this second essential part of the response, preferring to avoid decisions rather than acting for the overall good of society. Proving a negative proposition is impossible, therefore it is impossible to prove harm would not result from reopening the airspace… so sooner or later the precautionary principle has to be ignored for the practical purposes of living. I would like to know what happened on days 7 and 8 of the European air traffic shutdown to shift the balance of the decision from no flying to flying, my guess is pressure for airlines and politicians on the decision makers built to a level where there best option was to allow flying rather then apply the precautionary principle. The erupting ash was still in the atmosphere and as at 2nd May, the Institute of Earth Sciences reported changes to the eruption during the last 2 to 3 days. This included lava producing phase being larger than the explosive phase and the plume becoming darker, denser and wider than in the preceding week (see Wikipedia). I may be wrong in this view – what do you think?